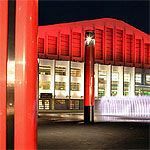 Do you work at Wembley Arena? Unaccompanied children under the age of 14 will not be admitted. What did you think of Wembley Arena?